Cerumen (ear wax) is a natural secretion produced by glands near the entrance of the ear canal. As well as preventing the skin in the canal from drying out, it helps keep our ears healthy by protecting them from dust and bacteria. In theory, our ears are self-cleaning. Skin grows from the centre of the eardrum, slowly moving wax and other debris towards the opening of the ear canal where it eventually falls out. However, sometimes the wax can build up to the extent that it becomes blocked, potentially resulting in itching, pain, dizziness, tinnitus and hearing loss. As with many health matters, your likelihood of suffering from the effects of excessive wax is largely a question of individual susceptibility. However, there is evidence to suggest that other factors may be significant, such as age (almost one third of older people are troubled by excessive wax), diet, lifestyle, anatomy (eg. unusually narrow ear canals), genetics and ethnicity. 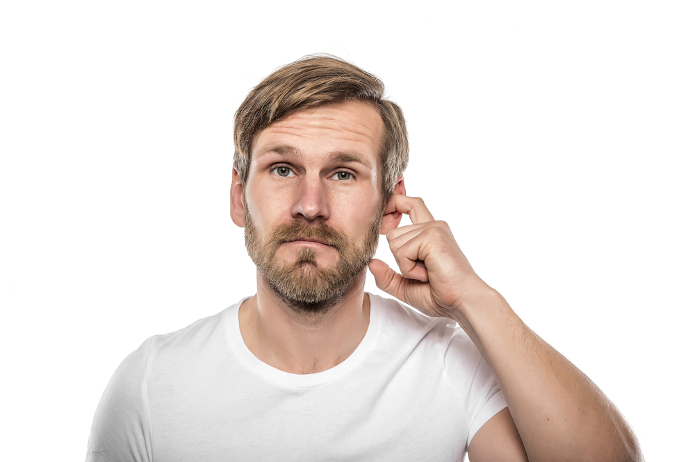 If you think you may have a problem with ear wax, it’s not a good idea to try physically removing it yourself, especially using a cotton bud: it’s highly likely that you’ll push the wax deeper into your ear or even damage your eardrum. In some cases, the problem can be solved at home, simply by using something to soften the wax – almond or olive oil from a pharmacy, for example – thus allowing the ear to deal with the blockage naturally. If this is ineffective, you should consult a professional to have the wax removed. Click the link for advice on treatment.